Our grease trap installation team goes beyond the installation process by also providing maintenance options in Polk City, FL. If you run a restaurant or another business in Polk City, FL that relies on the kitchen, a grease trap installation is a must. A properly installed grease trap keeps your business’s doors open, which means you make more money. 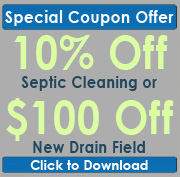 It all starts with a visit from our team at Southeastern Septic LLC. Once we have your grease trap in place, you can start making money. When a grease trap is installed properly, it traps grease and solid foods so they don’t move through the sewage system. If you don’t have a trap in place or if your trap is installed incorrectly, those items will make it to the sewage system, where they will cause clogs. This can be a time-consuming and expensive repair, and your business will likely have to shut down while it takes place. Once we complete your grease trap installation, you will need to maintain it. Otherwise, it won’t last as long as it should. The best way to go about this is to schedule us to come out on a regular basis to maintain your grease trap. Our grease trap installation team can talk to you about maintenance schedules. During these maintenance visits, we will clean your grease trap so it can continue to catch grease and food. We will also catch any problems before they become serious issues. Our grease trap installation company is the top choice for a fast, effective installation in Polk City, FL. We do it right the first time, so you don’t have to worry about a thing. We offer reliable and professional grease trap installation in Polk City, Auburndale, Zephyrhills, Bartow, Lakeland, Mulberry, Winter Haven, Plant City, and Polk County.